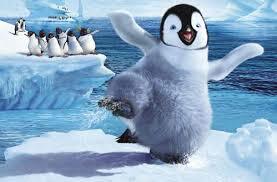 From Mary Poppins to Happy Feet, penguins frequently appear in movies. Of all the birds, they might be the most lovable. 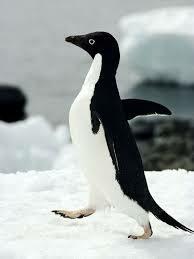 17 species live in Antarctica and the southern hemisphere. Although most penguins live in snowy areas, they don’t seem to mind the cold. Penguins have dense outer feathers that are coated with oil that keeps them dry. Under those feathers are soft, downy feathers. Penguins also have a thick layer of fat under their skin. Penguins actually get too warm sometimes in their feather coats and puff their feathers to cool off. The penguin in Happy Feet movie. For more about penguins, read on! Most penguins live near the sea, but migrate inland to have babies. The male Adelies penguins give females rocks as gifts. Male and female penguins take turns sitting on the eggs and taking care of the babies. 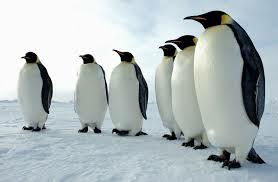 Male emperor penguins gather together during the winter to protect the eggs. They place the eggs on their feet and huddle over them to keep them warm. They sit in one place for over two months until the eggs hatch. Then the females return to take care of the hatchlings. Penguins eat krill or fish. Those that eat krill have pink poop. Fish eaters have white poop. 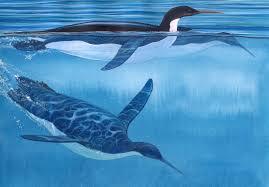 Penguins are excellent swimmers, but they can’t fly. Penguins have dense outer feathers that are coated with oil that keeps them dry. Under those feathers are soft, downy feathers. Penguins also have a thick layer of fat under their skin. A video compilation of penguin bloopers. Question: How big are penguins? Answer: Emperor penguins are the biggest penguins. They are 4 feet tall and can weigh 65 pounds. That’s as big as the average third grader! Rock hopper penguins weigh only 5 pounds and stand 21 inches tall. 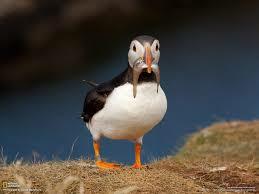 Penguins eat krill or fish. Answer: Yes, penguin populations have decreased by as much as 80 percent in some areas. Scientists believe climate changes have caused the decrease. Leopard seals and killer whales prey on penguins. Enjoyed the Easy Science for Kids Website all about Penguins info? Take the FREE & fun all about Penguins quiz and download FREE all about Penguins worksheet for kids. For lengthy info click here. Declan, Tobin. " Fun Penguin Facts for Kids ." Easy Science for Kids, Apr 2019. Web. 25 Apr 2019. < https://easyscienceforkids.com/all-about-penguins/ >.